Muhammad Dilawar Qureshi wins the Election of the Provisional Assembly of Sindh from PS-45 HYDERABAD-I area, And Now he/she is the member of Provisional Assembly of Sindh. Bussiness Type Advocate : Advocate High Court. 2. H.No.1/31, Wazir School Road,Muhallah No.01Sarfaraz Colony, Hyderabad. 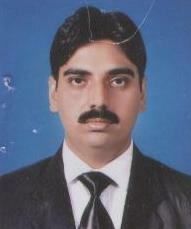 Contact in Constituency Sarfaraz Colony.Contact: (Cell Phone)0333 2651590.